An apartment building burned to the ground yesterday. So tragic. Almost 100 people are now without a home and have lost all of their possessions. Hopefully, the impacted people had insurance. When you don’t own your home, you don’t think about insurance. That’s your landlord’s problem, right? Wrong! Your landlord is probably insuring their asset, which is the structure you are renting from him(her), but not your property inside. Your contents are your responsibility to insure. Also, in most cases, you are the liable party if someone is injured at your rented residence. Another myth about renter’s insurance is that is costly and coasts as much as homeowner’s insurance. Wrong again! The average renter’s fire policy ranges from $30-50 per month. And if you think about it, it’s something you can’t afford NOT to have! Why do you need renter’s insurance? Kitchen fires cause damage…dangerous damage!! Think you’re too good of a cook to worry about that, think again – about your neighbors! One wall away there could be a bad cook, and in moments your home could be on fire because of that bad cooking! Notice water dripping from the light fixture above your head while you’re brushing your teeth? Perhaps the neighbor above you let their tub overflow! What items of yours are damaged because of this!?!? Of course, you may have the greatest neighbors around, or perhaps you’re renting a house and not sharing your walls with the careless person next door. That helps! Now you just have to worry about weather threats, burglary or the crazy chance that you may have a fire or water damage without having a bad neighbor to blame. In other words, bad things happen to responsible people every day. Renters Insurance can protect you from the terrible incidents described above and more! Coverage for clothing, furniture, appliances, and computers is an important part of why you should have this insurance. Also, in today’s litigious society, you need to be protected in the event you find yourself legally responsible for someone who may have been injured while at your residence. A renter’s insurance policy can offer you that kind of protection at a very reasonable price. Take a few moments to do a quick inventory of your belongings. Don’t do it in your mind, but physically go around and list the items you possess. Every fork, every sock, every DVD and everything in between. Can you afford to replace all of this yourself? Many people don’t realize how quickly this adds up. The average renter has $50,000 in personal belongings at stake. Now consider your valuable items such as your fine jewelry, art, collectibles and even your car. In other words, consider your assets. At this point you may be thinking how would a renter’s insurance policy protect my car? That’s a great question. Renter’s insurance doesn’t protect your car from collisions or comprehensive claims, but it does protect your assets in the event a liability claim is raised against you. For example, a door to door salesman comes to your residence on a rainy day and slips on your wet doorstep causing an injury. He decides to sue you for medical expenses. Is this your landlord’s problem or is it your problem? You didn’t have a proper rug in place to prevent slips, you didn’t dry the step after a hard rain to prevent slips, you could be the at fault party in such a law suit. Can you afford to pay his $30,000 in medical bills? You may not have that kind of cash on hand, but your assets could add up to that much. So, with renter’s insurance, the question is not do you need the coverage but how much coverage do you need! Here we just addressed a few questions about renter’s insurance, but we know you have more questions! 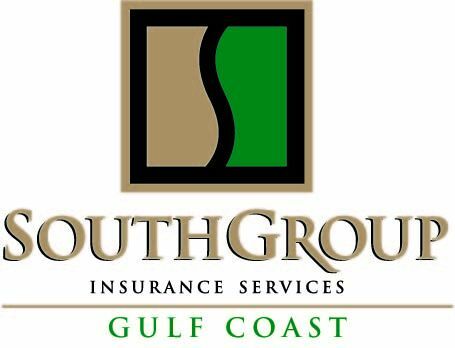 At SouthGroup Insurance Services, we have several Trusted Choice Agents on staff ready to answer your questions. An insurance review takes only a few moments and could save you thousands of dollars. Make a list of your questions along with your inventory and visit one of our 3 coastal locations today. It’s always the right time to think again and play it safe! SALES AND SERVICE AGENTS: Angelyn Treutel Zeringue, Tammy Garfield, Tammy Hogue, Brittany Jones, Wendy Johnson, Denise Russell, Melissa Moran, Alex Treutel, Susan Monti, Anne Gillam, Ashlie Moody, Michael Reso and Whitney Zimmerman at SouthGroup Gulf Coast. You can reach us by snail-mail or in person: 412 Hwy 90, Suite 6, Bay St Louis MS 39520, email: atreutel@southgroup.net , phone:228-466-4498 begin_of_the_skype_highlighting 228-466-4498 FREE end_of_the_skype_highlighting, fax:888-415-8922, FaceBook www.facebook.com/southgroup.gulfcoast, or Twitter www.twitter.com/atreutel ! We have 3 Gulf Coast locations to serve you - 2505 Pass Road - Biloxi, 5400 Indian Hill-Diamondhead, and 412 Hwy 90 Ste 6-Bay Saint Louis, MS. We write coverage in 40 different states and can assist you with Mississippi insurance, Louisiana insurance, and Alabama insurance and many other states. Weekend Warrior! Monday Morning Backache! !